As the Democratic presidential field continues to grow, we are beginning to hear warnings about the primary turning into a “circular firing squad.” Self-appointed, high-minded political proctors have tried to lay down “rules for civility,” but these appeals should come with a warning label. Really? Donald Trump has a canny and ruthless instinct for the jugular. He didn’t need Sanders to prey on Clinton’s self-inflicted vulnerabilities. “Lock her up,” the infamous Trump rally chant, was about Hillary’s e-mails, an issue that Bernie explicitly dismissed out of hand. Trump has already labeled Senator Elizabeth Warren “Pocahontas,” and, sadly, got her to take the bait and take a DNA test. Tomasky is using the plea for civility as a threadbare excuse for recycling an embittered assault on Sanders. “We should not eat our own,” cautioned David Brock, which is rich coming from a professional hatchet man servicing both sides of the aisle at different points in his career. In reality, the ones doing the eating are primarily centrist pundits using high minded postures to skewer Bernie. Sanders has been assailed by a former Clinton staffer for using private planes while stumping for Hillary in 2016. He’s been attacked for hiring David Sirota, a respected left-leaning journalist who got his start in Sanders’s House office twenty years ago. (Sirota was raked over last week for supposedly hiding his conflict of interest while at The Guardian, a claim that turned out to be simply false). Tomasky presumptuously issued a “personal plea” to Bernie to rein in his supporters, while saying nothing about the Clinton advisers publicly vowing to unleash their oppo research from 2016 on Sanders. Clinton and her supporters consider Sanders’s repeated criticism of the hundreds of thousands she pocketed for speeches to Goldman Sachs and other banks an “aspersion” on her integrity. But the corruption of big-money politics and the unholy alliance with the financial sector is at the center of the failure of the establishment of both parties. Trump made the corruption of politicians—Republican and Democratic alike—the central theme of his campaign in 2016. 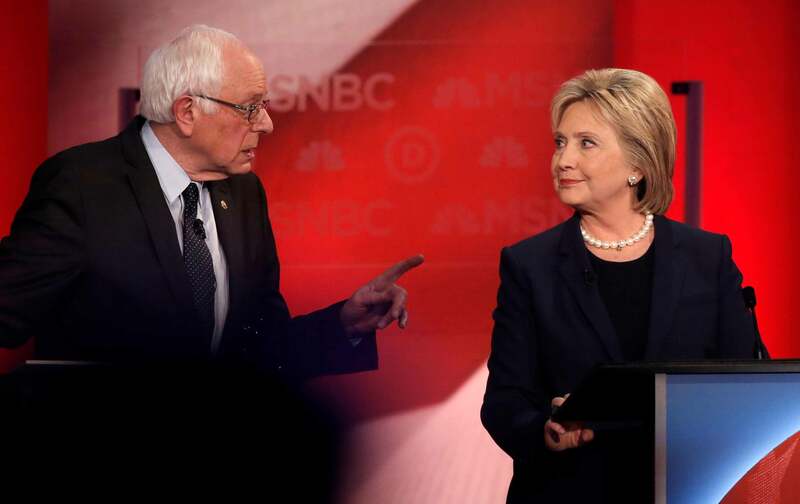 The Democratic primary debate would be foolish to rule airing the issue out of bounds. Of course they will. Amanda Marcotte and others then use this to recycle the argument that bitter Sanders fans cost Clinton the election in 2016. In fact, Sanders endorsed Clinton and stumped relentlessly for her. Some disaffected Sanders voters no doubt stayed home or voted for a third-party candidate or even for Trump, but they turned out far better for Clinton, as The Washington Post reported, than Clinton voters did for Obama in 2008 after their primary battle. The disaffected Clintonites didn’t stop Obama from winning. There are many reasons Clinton lost an election to the most unpopular candidate in history by 80,000 votes; Sanders was the least of them. This concern about unity too often masks the real concern of centrists: their belief that only a “moderate” candidate who offers “realistic” reforms can win. Politico trotted out Stuart Eizenstat, Jimmy Carter’s former policy adviser, to make the case explicitly. 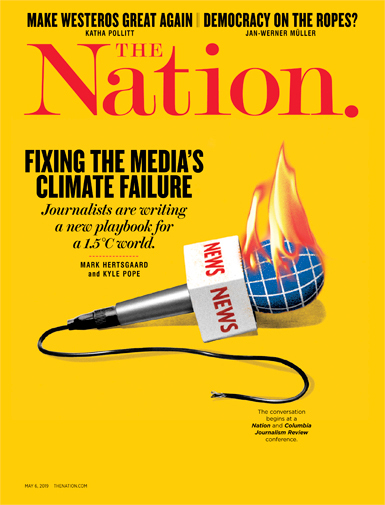 “Maximalist ideology is a prescription for division and defeat,” he wrote, adding that Medicare for All may be a “useful campaign slogan,” but a “totally government run program is not a solution.” The answer to climate change is “not a Green New Deal…but ‘market based incentives.’” He believes that if progressives want to win, they’ll join a “united front” around a centrist candidate. In the name of unity, Eizenstat calls for robust debate in which progressives defer to the responsible center. Democrats ran an experienced centrist with moderate policies against Trump in 2016 and got beat. Democrats won twice with a charismatic center-left candidate in Barack Obama, and Sanders’s agenda has gained ever more adherents. Most of the top-tier candidates—from Sanders to Warren to Senator Kamala Harris—are making the case for bolder ideas and politics. This ugly rant reflects the venom of those who fear losing control. In reality, Sanders is now part of the leadership of the Senate Democratic caucus. He ran and won on both the independent and the Democratic line for the Senate in Vermont. He ran a powerful 2016 campaign for the presidency in the Democratic primaries—and then helped fashion the party’s platform, while endorsing its nominee, and working harder for her election than virtually any other ally. He now is the most popular senator in America, trailing only Joe Biden in the polls of Democratic voters. He’s already pledged to work for whoever wins the Democratic nomination, arguing that beating Trump is imperative. He’s vowed to run—as he always does—focused on issues, not on personal attacks. He’s pledged not to run a negative ad. He’s issued statements urging his followers not to engage in personal attacks on other primary contenders. Running with a bold agenda, fueled by small contributions, opposed by the establishment of the party and legions of embittered Clinton devotees, facing a skeptical mainstream media, he will have a difficult road to the nomination. Were he to win it, he could be well suited to expose Trump’s betrayal of working people and take him down. Democrats are remarkably united about basic propositions: Beating Trump is vital, and unity behind the eventual nominee is essential. Democrats should not allow a bitter primary to divide them. Yet even these commonsense propositions are being wielded to mug the left. The civility police suggest that the differences between Democrats are relatively insignificant as opposed to those with Trump and Republicans. This somehow coexists with the argument that if Democrats embrace candidates espousing bold reforms that Eizenstat scorns as “demanding the moon,” or Chait poisonously labels “hard-core socialist politics,” the party will crash and burn. The reality is that Democrats are in the midst of a fundamental argument about the future in the wake of the abject failure—in policy and in politics—of the established center of the party. The differences between candidates calling for a return to Obama and those who seek a fundamental change in course are significant and should spark a fierce debate. The difference between those financed by big-money contributions and those relying on small donations goes to the heart of our politics. If they are serious, the civility police should start focusing their attention and concern on the center, which is losing its hold, not the left, which is rising.